An exploratory study of77 high ability Grade 5 and 6 children investigated links between their understanding of the numeration system and their representations of the counting sequence 1–100. Analysis of children’s explanations, and pictorial and notational recordings of the numbers 1–100 revealed three dimensions of external representation—pictorial, ikonic, or notational characteristics—thus providing evidence of creative structural development of the number system, and evidence for the static or dynamic nature of the internal representation. Our observations indicated that children used a wide variety of internal images of which about 30% were dynamic internal representations. Children with a high level of understanding of the numeration system showed evidence of both structure and dynamic imagery in their representations. 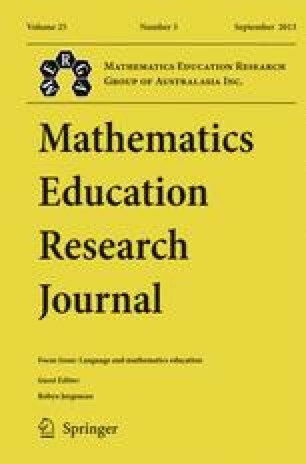 This is a revised and extended version of a paper presented at the 17th Annual Conference of the Mathematics Education Research Group of Australasia, held at the Southern Cross University, Lismore, 1994.